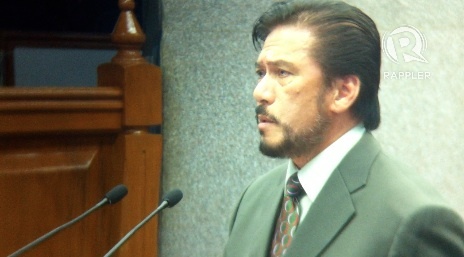 Ngayon ko lang napansin, Tito Sotto is Galahad! CVG: "The Order 1886 looks astonishing. Technical mastery and artistic majesty!" Hot dang, the last part of the official trailer got me hyped. Those graphics are something to behold. ron_bato wrote: Hot dang, the last part of the official trailer got me hyped. Those graphics are something to behold. ^ Yeah, really excited for Second Son, which should tide us over while we wait for more. where's the gameplay trailer? they said they will upload 2 videos. Tama nga yung sabi sa gameplay trailer...you can't really tell the actualy gameplay from the CG cut scenes, seamless transition tapos halos same na talaga in terms of graphics! Well that was a whole lot of... nothing. A story trailer and some footage all in all amounting to just a few seconds of generic shooting and QTEs. I was expecting more from this preview aside "Wow, graphics!" which we know already. I get it, your game looks good. Give us something else. Raw gameplay video is up! WOW!!!!!!!!!!! Medyo nakaka worry yung preview article ng IGN..
parokyano wrote: Medyo nakaka worry yung preview article ng IGN.. I'm not too worried, the game is 7-8 months away and they're not even at the point of giving hands on demos yet. Watching the documentary for the last of us, you'll see the struggles teams hit through development, them even saying that things pulled together mostly during crunch time of development. If this game were two months away from release, sure, but this game is targeted for Q3 2014 so it's still got a way to go and they seem confident that they'll hit their target. Also the Game Informer Video on their history showed that they're really hard working and pull things together, that gives me more confidence in their team. That being said, I am all aboard this hype train, and everything I say should be taken with a grain of salt at this point. But I am not worried at all, all aboard the hype train. chooooo chooooooooooo!